Check-in is from 15.00 pm to 21.30 hours. Check-out is possible from 07.00 am to 11.00 hours. In consultation, it is always possible to arrive earlier. Of course, we will be happy to store your luggage securely. Long weekend (3 nights): € 289,00. Midweek (4 nights): € 369,00. 4 Nights incl. weekend: € 379,00. Week (7 nights): € 639,00. One night: € 85,00 per nacht. Long weekend (3 nights): € 239,00. Midweek (4 nights): € 313,00. 4 Nights incl. weekend: € 325,00. Week (7 nights): € 529,00. Extra bed in the room (including breakfast): € 30,00 per night. All prices are including breakfast, excluding tourist tax of € 1,80 per person per night. Cooking or any form of meal preparation is not allowed in the B&B. B&B Peperhuis Egmond is of course smoke-free. You can cancel free of charge up to 5 days before the check-in date. If cancelled or modified later, at least 50% of the total stay will be charged. 4 Nights, only € 92,25 per room per night! Enjoy 4 nights in one of our rooms (arrival on Sunday or Monday). Coffee or tea on arrival. Complimentary coffee or tea during your stay. Free use of entrance cards and a map for the Dune Reserve during your stay. tourist tax of € 1,80 per person per night. 2 Nights, only € 89,00 per room per night! Enjoy 2 nights in one of our rooms. The Fjoertoer is organized every year in November. For further information on the Fjoertoer, click here. 3 Nights, only € 89,00 per room per night! Enjoy 3 nights in one of our rooms. 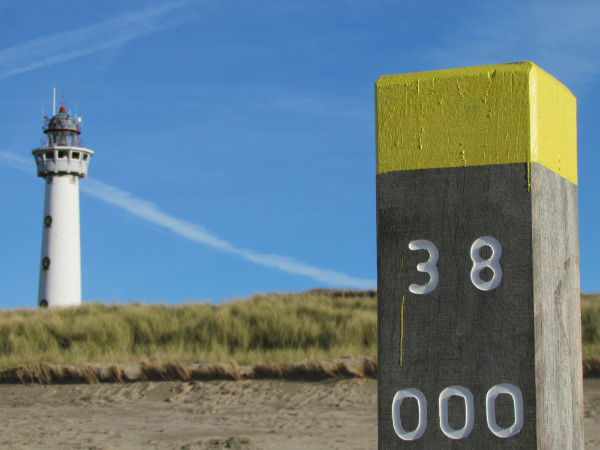 This package is valid during the weekend of the half marathon/mountainbike beach race Egmond-Pier-Egmond in January.